A holiday in Forfar next to a dual carriageway might not sound the most relaxing family getaway. But the luxury lodge development at Lochlands makes for a peaceful and idyllic environment despite its proximity to the A90 Dundee to Aberdeen road. 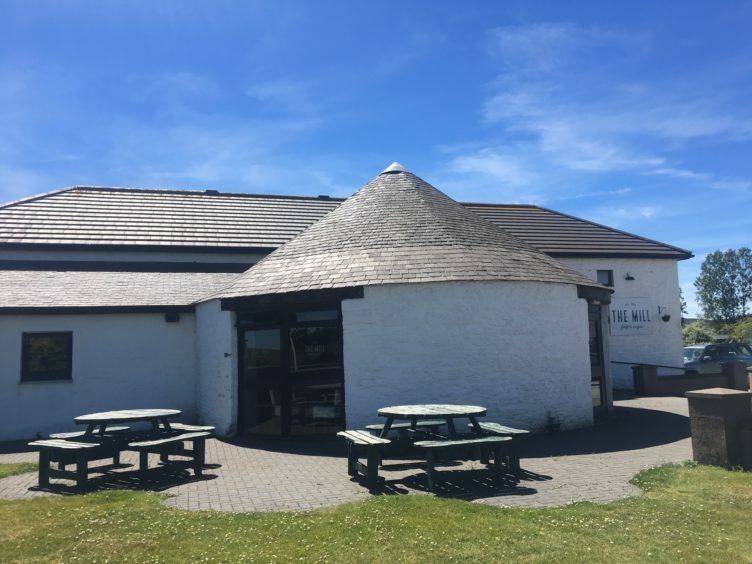 Situated just off the Lochlands junction, the park is a family-run operation incorporating a luxury lodge park and separate caravan park. Our family’s welcome for our weekend stay couldn’t have been better. The fully-furnished lodge was stunning and the best holiday home we stayed in during trips across the UK last year. The location is also perfect and was apparently popular with golf fans using the site to commute to Carnoustie for The Open and Alfred Dunhill Cup in 2018. 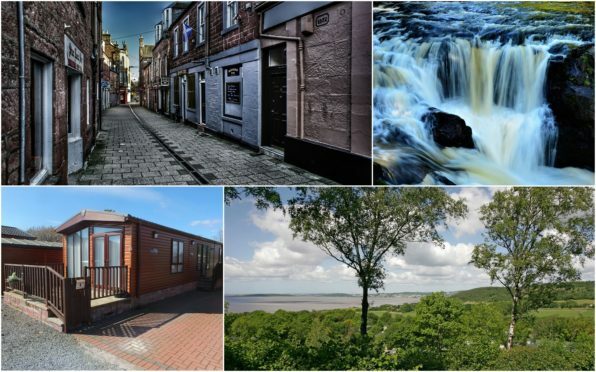 Situated just 18 miles from Dundee, there is also easy access to many local amenities and places of interest such as the Angus Glens, fishing, rambling and equestrian pursuits. With a two-year-old joining us for the experience it was also the perfect spot to start exploring some of the child-friendly places that were virtually on our doorstep. We made our way across the dual carriageway to nearby Kirriemuir and the Peter Pan Play Park where my daughter enjoyed the afternoon putting Captain Hook, Mr Smee and Cubby under the spell of The Mermaid’s Song. A trip to Camera Obscura, which was given to the town by Peter Pan creator JM Barrie in 1930, provided striking views of the countryside following our adventures. 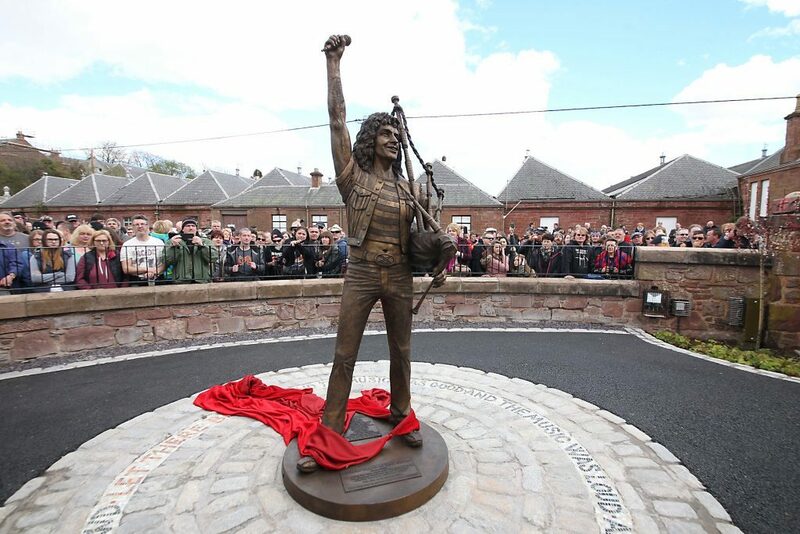 We also stopped off at the Bon Scott statue on the way back out of town which was incredibly busy despite it being a Saturday afternoon – confirming that Bon remains as popular as he did in his AC/DC heyday. With some time on our hands we dropped by Forfar Loch for some extra exercise and were soon joined by cyclists, runners and dog walkers. It’s a nice spot and we enjoyed our short stay in the country park. Bridies were also picked up in town as is tradition – along with fudge donuts – for returning home on Sunday. But back to Saturday afternoon and we went back to the Meadows following our exploits. We relaxed in our holiday home before having a meal at the on-site Lochlands Mill Restaurant, which enjoys a full 12-month season. A quiet table was granted and the staff couldn’t have been more accommodating but the food that was to follow was absolutely delicious. I’d heard that some people had actually bought caravans on the park because of the restaurant and it certainly lived up to the billing. With fresh local ingredients cooked to order it was one of the best meals I’ve had in Angus – and as someone who has worked here ‘on and off’ since 2007 that’s a big compliment. Special mention must go to the chef who also went ‘off menu’ to keep our tired child on-side as darkness started to fall. All the staff though it has to be said were very friendly with the chef especially over a few times to chat which was a nice touch. Starters and main meal suitably dispatched we enjoyed coffee and desserts and the sugar rush of the ice cream for one young lady made for a second wind. Once said youngster had decided to go to sleep (slightly later than usual) we kicked back and relaxed in our lounge. It really did feel like we were in the middle of nowhere – despite our proximity to the dual carriageway. Whether he was suggesting I might have been tempted to indulge in the restaurant’s fine selection of craft beers is up for debate. But it was true, strangely. It was also the best beds we’ve in a caravan/lodge stay – and having been in more expensive holiday homes last year that’s a big accolade for those who run the site. The following morning we were given an impromptu tour of the complex to look around the luxury accommodation. 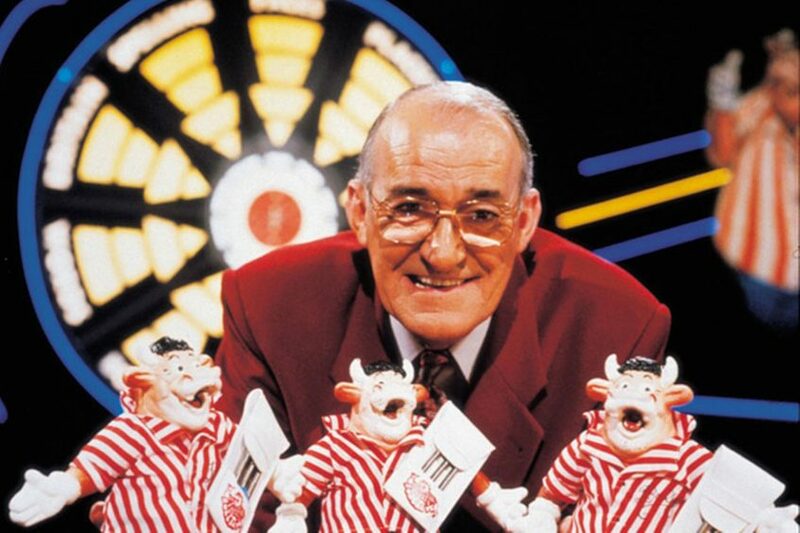 Believe me, if these mobile homes had existed back in Jim Bowen’s day there would have been more people going for the star prize in Bullseye. The quick tour was another nice touch and the family atmosphere we felt around the park suggested this wasn’t a case of any special treatment – nothing seemed too much trouble for anyone on site. After leaving Lochlands, we decided to head to Peel Farm just outside Kirriemuir afterwards for breakfast which also features a very interesting gift and antiques shop. The breakfast was locally-sourced and delicious and it was easy to see why it is such a popular stop-off for cyclists and commuters passing through. We then went for a walk along the nature trail where there was a chance to catch a glimpse of horses, hens, deer, song birds, butterflies and wildflowers. 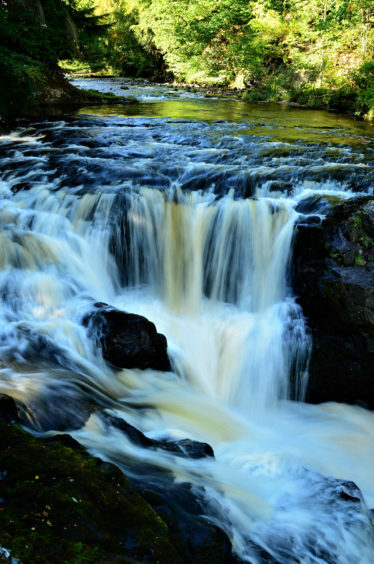 Suitable for both adults and children alike, it’s really worth a visit, as you can follow the trail past the red deer park and then view one of the waterfalls on the River Isla. It’s a stunning sight if the weather is perfect – as it was for us when we made our trip. Our morning finished off by going to feed the ducks before we took a drive to Alyth and the long route back to Dundee. It was a pleasant drive and a nice way to finish off what had been a very nice weekend. 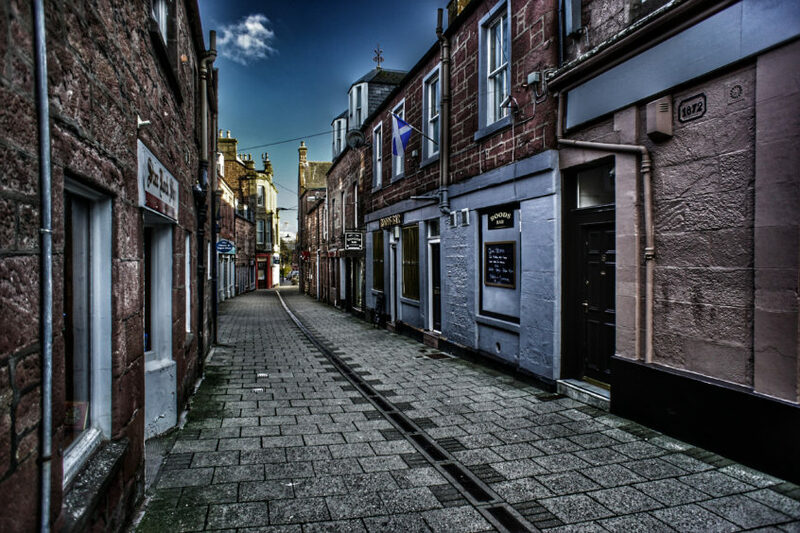 The treasures of Angus have never been in doubt – and they still aren’t; being based in Forfar for two days gave us more time to explore them. With more people deciding to holiday at home with things like Brexit uncertainty, they could do a lot worse than head for a region which is sometimes described as “God’s country”. Unlike Bullseye, coming to Angus for a visit never involves a gamble. A typical midweek night in a lodge at Lochlands, Forfar is from £29 per person per night. Rates may vary at peak times and at weekends. 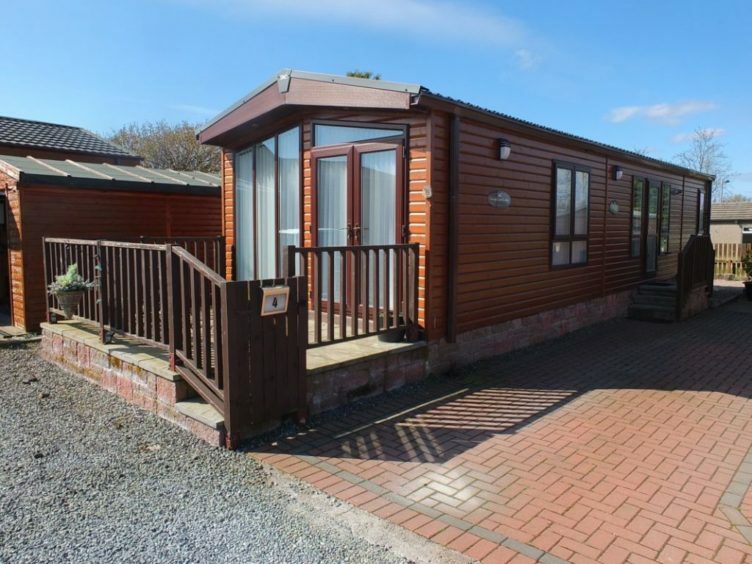 Meanwhile, a new phase of the site called The Meadows is selling lodges which can be bought to let – part or all of the year – or simply bought to use as holiday homes. The on-site restaurant The Mill is also in operation all-year round. See www.themeadowsforfar.co.uk for more details.